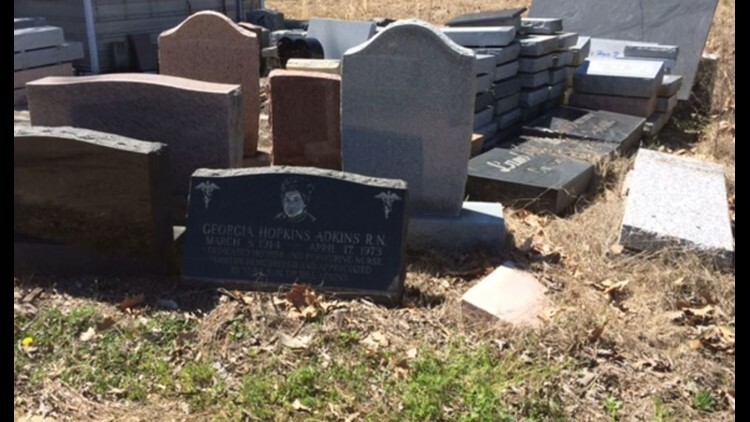 An unfinished gravesite is seen March 30, 2015, at Galilee Memorial Gardens. 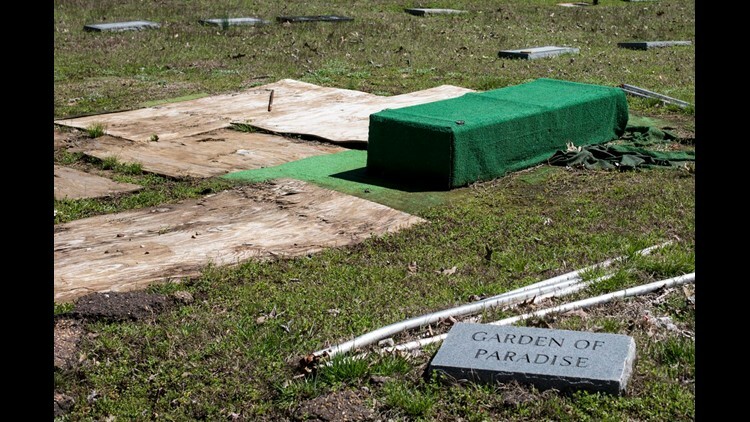 A Shelby County Chancery Court jury took less than a day to decide that area funeral directors were not responsible for the mishandling of bodies at Galilee Memorial Gardens and that the cemetery was 99 percent responsible for what happened there. The verdict follows a class action lawsuit with more than 1,200 plaintiffs whose loved ones were buried in caskets one atop the other. Cemetery records were in such a state that it's likely families will never know who is buried where. Galilee, located on Ellis Road in Bartlett, was named in the lawsuit, but the focus was on the area funeral directors, who after services at the cemetery, left caskets at a pavilion or committal area to be buried later. It was a set up plaintiff attorney Katheryn Barnett called "a McDonald's drive-through." The plaintiffs acknowledged that the funeral directors did not personally mishandle the remains, but rested on the argument that had the funeral directors stayed until the bodies were properly buried, Galilee would have never been able to get away with what they did. 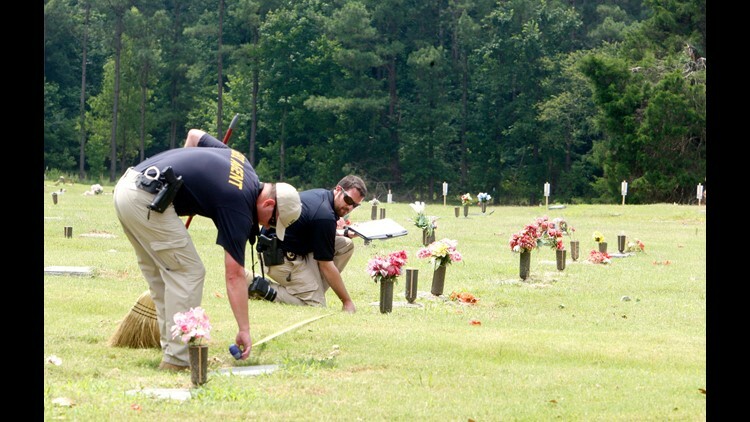 The trial lasted more than three weeks, with expert witnesses on both sides offering opinions on how the standard of care for funeral directors and community practices play a role in how burials are handled. The lawsuit covered actions from 2011 to 2014. Chancellor Jim Kyle presided in a newly constructed courtroom at the county administration building, which was built there to accommodate large number of plaintiffs who sat through the trial and the dozens of lawyers representing the various funeral homes. The jury found that the funeral directors did not recklessly mishandle the remains and that they were one percent responsible for what happened at the cemetery. The jury also found that the funeral directors did breach their fiduciary responsibility to their clients. The funeral home directors argued that there is no line item for burials in their funeral contracts. The families' contracts for burial were with the cemetery and that their role is to take care of the remains until those remains are turned over to the cemetery. Also, cemeteries are registered with the state of Tennessee, which knowingly allowed Galilee to remain open and active after its state registration had expired. "We agree, it's a tragedy for these people, what Galilee did," said defense attorney John Branson during closing arguments last week. Testifying as an expert witness for the defense, former Memphis City councilman Brent Taylor told the jury that in his more than 30 years as a funeral director, he could count the times on one hand that he had been asked to stay for a burial. Taylor owns several funeral homes and the Helen Crigger Cemetery in Munford, Tennessee. Technically, the cemetery is responsible for the remains once the body arrives at the property, but practically, Taylor said, they take over when the service at the cemetery is over. And cemetery owners may not want non-employees nearby during a burial for safety reasons, he said. Plaintiff witness Derrick Gunn, a funeral director in Little Rock, testified that when he went to Galilee on Nov. 3, 2013 to find Renisha Johnson's body, he saw crushed and crumpled caskets piled five or six high. Cemetery workers had to look inside the caskets as they searched for Johnson. Her body was never found, he said. Gunn attempted to work with Galilee as a consultant, but later contacted state authorities. In 2015, cemetery owner Jemar Lambert entered an Alford plea to criminal charges of mishandling bodies and theft, which included burying caskets on adjacent property not owned by the cemetery. He was sentenced to 10 years probation. The jury returns to court at 9 a.m. on Tuesday.